My wife and I visited many IDs to get a comparison of various quotes before deciding to engage Akihaus. Although the quote was not the cheapest, we still decided to go ahead with Akihaus as Lawrence is one of the rare breed of IDs with formal architectural training. Lawrence also gave us a strong sense of trust as he knew exactly what he was doing. He would provide advice not only from an aesthetical point of view but also from a practical point of view. The contractors that Akihaus works with are also very responsible and the workmanship is superb. Although there were some minor defects during the handover process, Lawrence and his team were quick to rectify the issues as soon as possible. Both my wife and I are very pleased with the outcome of the renovation and we've received plenty of praises from guests who visited our home. 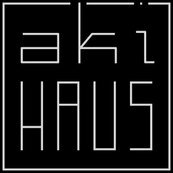 We would highly recommend Akihaus!